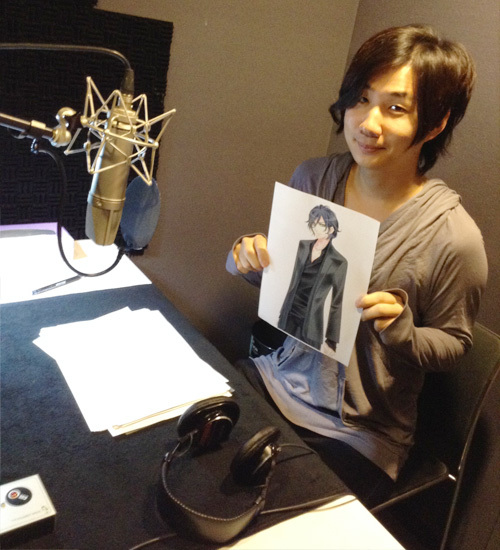 The voice recording of “The bride of vampire / The assassin route” has been done. It will be released in this spring. 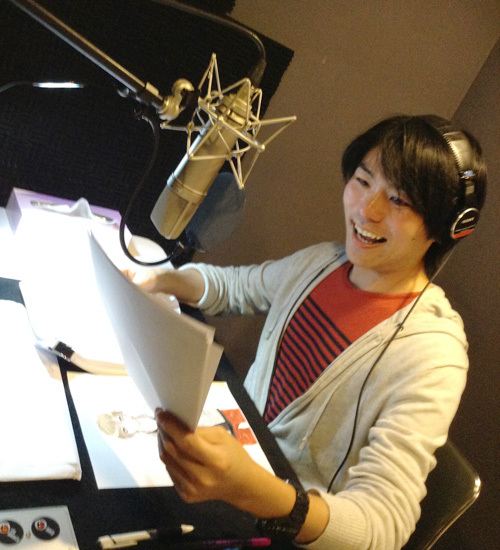 It’s been a while since the recording for the routes of twins Yuma and Sakuma. Which means, it’s also been a while since the casts acted as the characters. But the recording finished very smoothly. That’s great as expected! 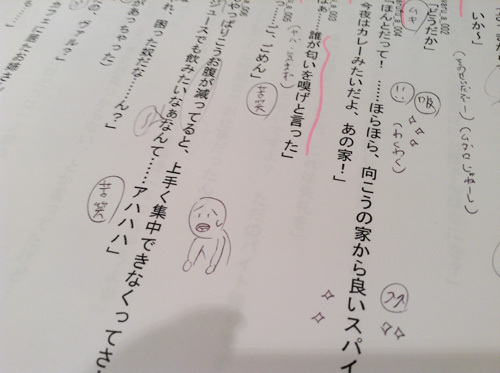 The amount of the lines to record was switched between “Yuma and Sakuma” and “Ralph and Val”. It took a long time for Mr. Korino(Val)and Mr. Kubota(Ralph) to record. We had pictures taken of them two. Snap! We should’ve asked for Mr. Maruyama(Sakuma) and Mr.Hatano(Yuma)…! The staff was so busy, it just didn’t occur to. We are sorry! We suppose the people who also like Yuma and Sakuma can enjoy it. Because it includes amusing scenes even though they didn’t have many lines. We think Sakuma shows good tsundere. And Yuma also, …he has done such a good job! In addition, he showed us his script. There were many notes which has been written by him. The script has been read deeply and there are many drawings. It’s more like cartoons, which fit to the line. So we had the picture taken of it. There were many cute facial expressions here and there. The production of assassin route is reaching an important phase, we are in the middle of putting our all for the release in this spring. We are scheduled to release English and Japanese version at the same time, so please look forward to that.